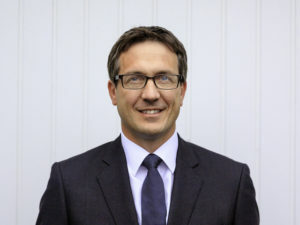 Ashley Andrew has joined Hyundai Motor UK as its new sales director following the departure of Martin Wilson to Thrifty. Andrew brings more than 20 years of automotive and sales experience including senior-level roles at brands including Fiat Chrysler, Volkswagen Group, BMW Group and Ford. His appointment follows the brand’s announcement of the appointment of new UK fleet director Michael Stewart two weeks ago and comes as Hyundai looks to build its sales volumes further supported by new models and technologies. Last year saw the carmaker buck the industry downturn, growing 1.1% in a market that fell 5.7% and taking a 3.7% share of the new car market. Hyundai is embarking on a new sales push with a host of models targeting new sectors, including this year’s launches of the Hyundai i30 N hot hatch and Kona compact SUV. Next year will bring an electric version of the Kona in line with the brand’s plans for hybrid and electric versions of its core models.